Here at Camping World, there’s a lot going on. Not only do we have some great things for our associates, but we also partner with fun organizations across the country. From college football to professional baseball, you may have seen us around. Take a look at some of the cool stuff we’re doing. 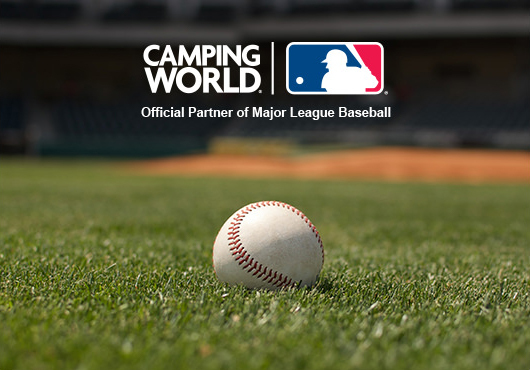 In 2017, Camping World and Major League Baseball announced a multi-year partnership making Camping World the Official RV Dealer of Major League Baseball, Official RV and Outdoor Supply Company of Major League Baseball, as well as the Presenting Partner of the American League Championship Series (ALCS) and Presenting Partner of the National League Championship Series (NLCS). This partnership also extends to Camping World’s family of brands, making each an official supplier of the MLB. 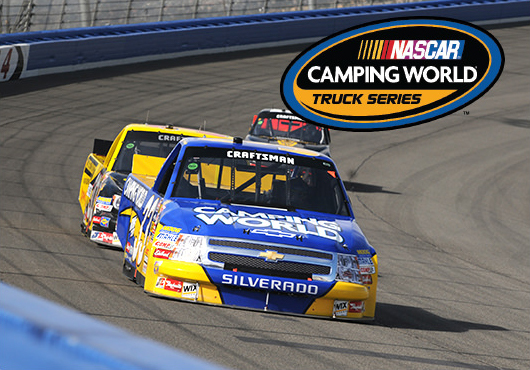 In 2009, Camping World became the title sponsor for the NASCAR® Camping World Truck Series. As the Official RV and Outdoor Retailer of NASCAR®, Camping World provides a wide selection of RV, outdoor and towing products to NASCAR® fans at many race events throughout the year. NASCAR® and Camping World recently signed an extension to keep sponsorship rights to the truck series through 2022, and beginning in 2019, the series will be rebranded as the NASCAR Gander Outdoors Truck Series. In addition to the Truck Series sponsorship, Camping World family brands Gander Outdoors and Overton’s sponsor several races throughout the NASCAR season. 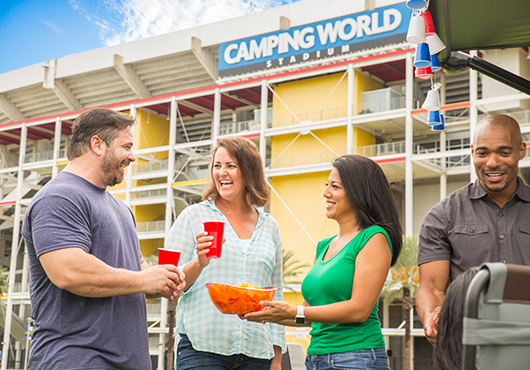 In 2016, Camping World began an eight-year agreement for the naming rights to Orlando’s football stadium, formerly known as the Citrus Bowl, now the Camping World Stadium. Camping World is also the sponsor of a series of early season neutral-site college football games named the “Camping World Kickoff”. In addition to college football games, the stadium hosts Orlando City and Orlando Pride soccer games, concerts and other major events. More recently, on January 1, 2018, the Citrus Bowl presented by Overton's was held at Camping World Stadium. We have high standards for our service departments across the country. 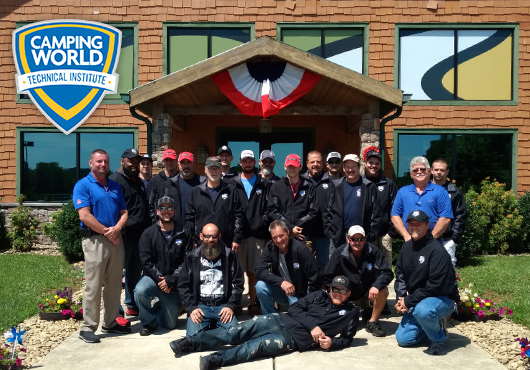 So, in 2017, we developed a two-week intensive curriculum to train our RV Technicians how to repair and maintenance RVs and trailers the correct way – The Camping World Way. This curriculum is taught at our facility in Marion, NC and is a mixture of classroom and hands-on shop work. On Day One, we introduce new team members to our process, various internal departments, and how they work together to help our customers get back on the road. Then, we dive head first into the numerous systems and components that our technicians may encounter on the job, including Plumbing and Electrical Systems, Batteries and Generators, Propane, Heating, Water, Refrigeration, Stove, Ovens and Air Conditioners. At the end of the two weeks, our technicians are ready for anything that may enter their service bay. During this time, trainees are housed onsite in an RV and provided with three meals per day at the Marion facility’s cafeteria. Since our inaugural class at the beginning of 2018, over 130 technicians have graduated from the Camping World Technical Institute. With a history steeped in entrepreneurship, Camping World is always looking to develop future leaders of industry. That’s why Camping World partnered with the Hall Global Entrepreneurship Center at Weber State University to host the first Outdoor Weber Contest. 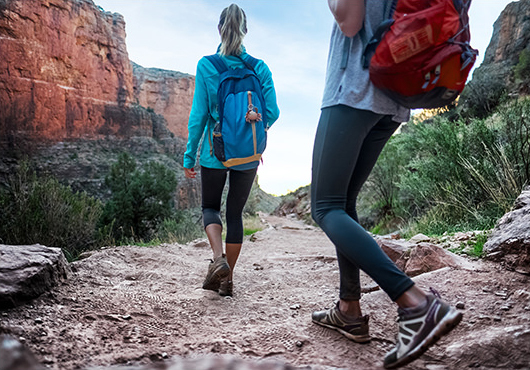 Students from around the country were invited to present their ideas for outdoor recreation products or services, with the finalists competing at a three-day outdoor recreation contest in the Ogden Valley of Northern Utah. The grand prize winners, Jordan Vanderham and Jared Seifert, received $30,000 to develop their business concept, the “Orindi Mask”, which allows wearers to breathe warm air even in cold temperatures. Taking second place was Katarina Samardzija, who created “Locker Lifestyle”, which allows wearers to take small valuables with them while being active.